Do you get a huge burn from playing three-bet pots? 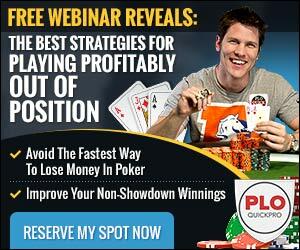 When I first started playing, I used to dread three-bet pots – because playing big pots without the nuts scared me. I felt out of control because I didn’t know when to stack off with medium strength hands, and it seemed like I never followed through on any good bluffing spots like the other aggro regs in my game. Nowadays my approach to three-bet pots is completely different. When it folds to me in late position (and ESPECIALLY when there’s an aggro player in the blinds), I get excited knowing that a big pot is about to happen – and I’M THE ONE with the edge! But this didn’t happen overnight. 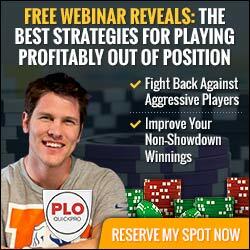 In fact I’ve played and analyzed millions of three-bet pots and hired some of the best coaches in the world to teach me step by step how to think through these situations profitably. 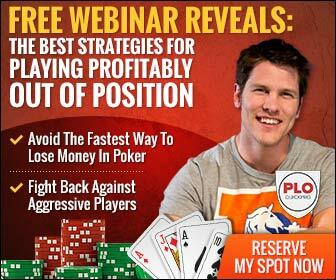 If you had to choose – what would be your biggest weakness in PLO right now that you’d like to see covered? Drop a comment below and let me know how I can help. My goal this year is to connect with as many players who are as passionate about PLO as I am. I’m looking forward to helping you with your game!